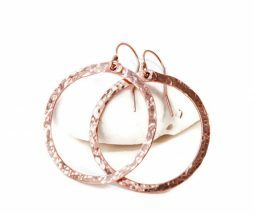 Rose gold filled hoops, hammered, made by hand earrings. 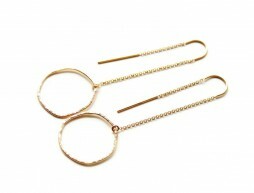 Thick rose gold hoop earrings, everyday wear. Holiday gift ideas. Timeless style. 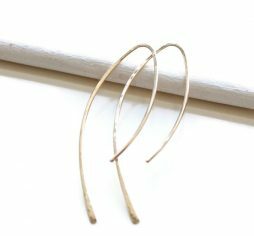 Herkimer Diamond choker necklace – April birthstone gift. Herkimer diamond nugget crystal is natural raw shape, approximately 10 mm- 12 mm big, AAA quality. 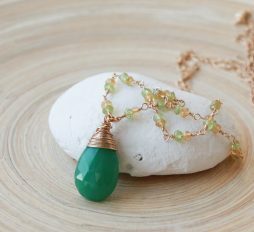 The stone is wire wrapped in sparkly 14 k gold filled wire, oxidized sterling silver chain is 16″ long, extension of 1″. Materials: Herkimer diamond crystal AAA quality, oxidized sterling silver chain, 14k gold filled metal. Item ships in a gift packaging.